Ono’s IMAGINE PEACE billboard signs located around industrial and natural park areas of Vancouver vividly demonstrate her lifelong interest in placid means of subverting the established, gently nudging us to stop and contemplate a truce in our lives. 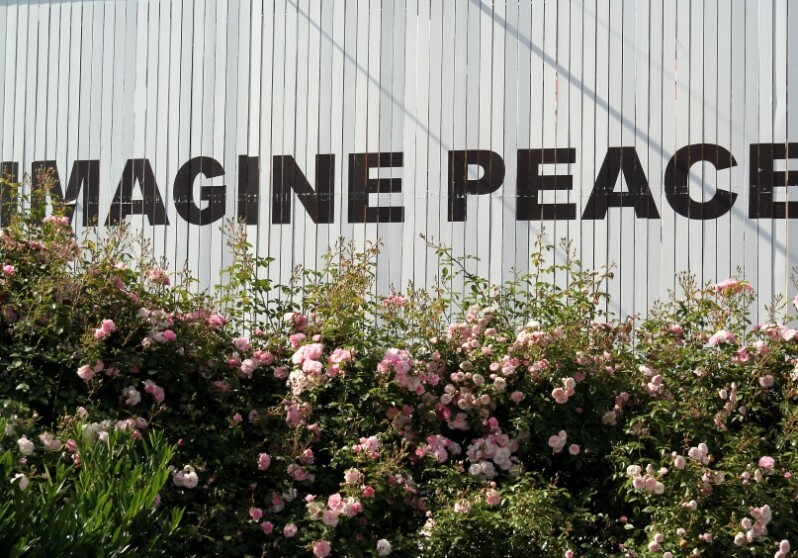 If we see IMAGINE PEACE as a series of instructions advertised on billboards, we realize Ono’s gentle subversion in getting us as viewers to change aspects of our lives, if only for a moment. Ono asks us to IMAGINE PEACE, hinting that the implementation of these principles must begin with each person in their own mind. Ono elaborates, explaining that ‘in your mind you can do things that you can’t do physically.’ Therefore, if we cannot have serenity in our lives, perhaps we can imagine and have peace of mind.